Abstract Head is a continuation of my recent work. I focus on a figural work and the results have been obtaining more and more abstract shapes. Although I portray a human body or its parts most of the time, the lines and shapes I work out are mostly sharp, angular, sometimes gains even a constructivist character. I naturally make use of wood, but my concept goes against the impression of wood. I naturally make use of wood, but my concept goes against the impression of wood. That is why the created results look airy, light and soft. 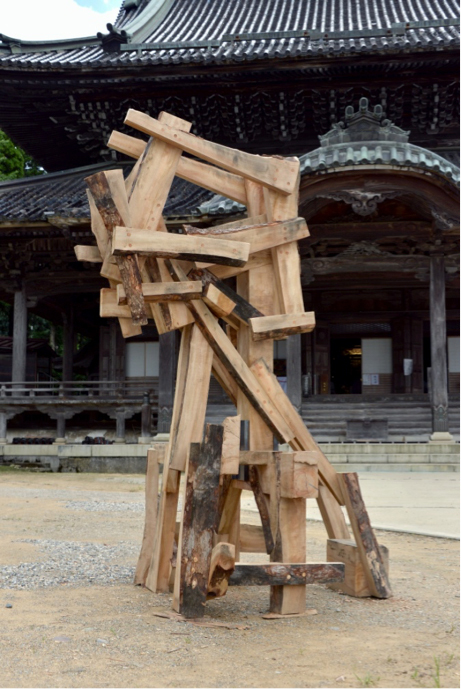 The Abstract Head I created in Inami should be a light wooden construction made of wooden sticks and pieces. The message of my work is human individuality.